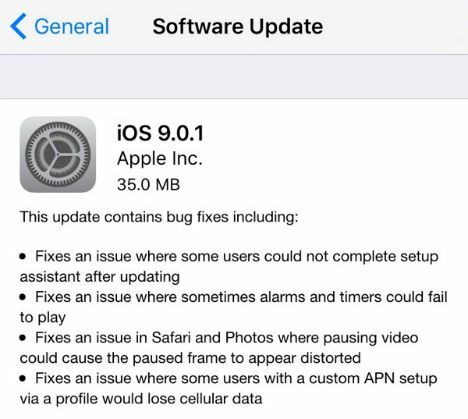 iOS 9.0.1 is now available from the Software Update section of the Settings app. To install the update on iOS device, launch the Settings app, then tap General > Software Update. The download size around 35MB. iOS user also can update within iTunes with device connected to Mac.